Six days before Albertans are set to vote in their provincial election, voter fraud allegations are being levelled against UCP Leader Jason Kenney over his party’s 2017 leadership race. The RCMP is looking into whether fake email addresses were linked to the names of real people to boost votes in a race that Kenney ultimately won. 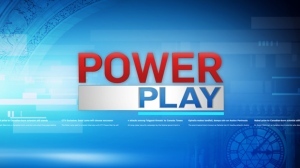 Police investigators say they received the information from former UCP MLA Prab Gill. Now, the Office of the Alberta Election Commissioner is also looking into the allegations. Gill alleges that the fake email addresses were used to intercept PIN codes needed for members to vote in the leadership race. “(Some) people were signed up and were saying they weren't even members,” Gill alleges. Kenney has always denied any wrongdoing in that leadership race. Documents show two pages of names with allegedly fake email addresses attached. Among those names are Albertans Gurwinder Athwal and his wife Sarbjit. Although Athwal confirmed he voted online, his email address is different than the one on the list. Gill himself resigned from the party’s caucus after an internal investigation over allegations of ballot stuffing at that same leadership race. In a portion of a written statement from the UCP executive, the party's executive director Janice Harrington dismissed the allegations, earlier reported by CBC News. She stressed the party was confident in the integrity of the results. “We are not going to let allegations from discredited individuals like Happy Mann and Prab Gill distract us from our task of replacing the NDP with a government that will create jobs and get Albertans back to work,” she wrote. “The entire leadership election process was monitored by the Leadership Election Committee, to which each leadership contestant had representation on, the party's contracted vote service provider, and an independent auditor. No irregularities were identified,” Harrington stated. Political scientist Duane Bratttold told CTV News that the allegations of voter fraud would continue long after the election. The 2017 United Conservative party Leadership contest followed the most stringent security protocols of any leadership race conducted in Canada. In order to be eligible to register to vote a person had to hold a valid membership on or before September 29, 2017. Those members then had to register to vote on or before October 13, 2017. The registration process required that every eligible member provide photo identification with a valid address that matched the address on their membership in order to obtain a PIN. A PIN was not issued unless the member provided the required photo identification. PINs were delivered in the manner specified by each member at the time they provided their photo ID during the registration process. The entire leadership election process was monitored by the Leadership Election Committee, to which each leadership contestant had representation on, the Party’s contracted vote service provider, and an independent auditor. No irregularities were identified. 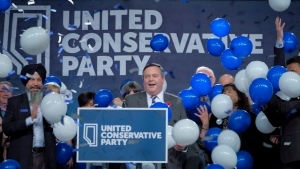 Jason Kenney won the leadership of the United Conservative Party by a margin of 17,287 votes. The United Conservative Party is confident in the integrity of these results. More than 58,000 votes were cast. Of the 49 allegedly irregular emails identified by the CBC, only 31 are reported to have cast a ballot. The party cannot verify the CBC’s allegations without knowing the identity of the 31 individuals allegedly affected. An individual who did not provide photo identification would not have been able to vote. The UCP has been specifically advised by the RCMP that it is not under investigation. We are not in a position to advise what private citizens have been told by the RCMP but we do know that Whitney Issik has been told, like the Party, that she is not the subject of any investigation. We are not going to let allegations from discredited individuals like Happy Mann and Prab Gill distract us from our task of replacing the NDP with a Government that will create jobs and get Albertans back to work.